Every person is different in height and build, and when it comes down to something as critical as a professional video rig, everyone has their own preferences for comfort and support. 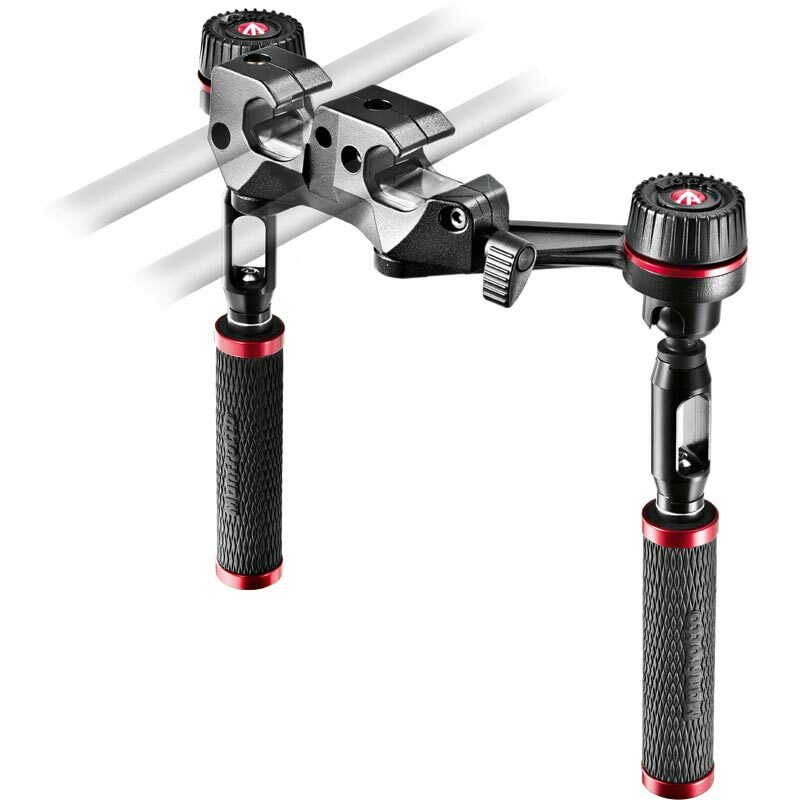 The handles are where the ergonomics and positioning flexibility of SYMPLA really come into play: mounted on ball joints (inspired by Manfrotto’s professional photographic heads), they can quickly be set wider, closer, vertically, horizontally or at any intermediate angle, rotated 360°... even upside-down – in whatever position you find most stable and most comfortable. 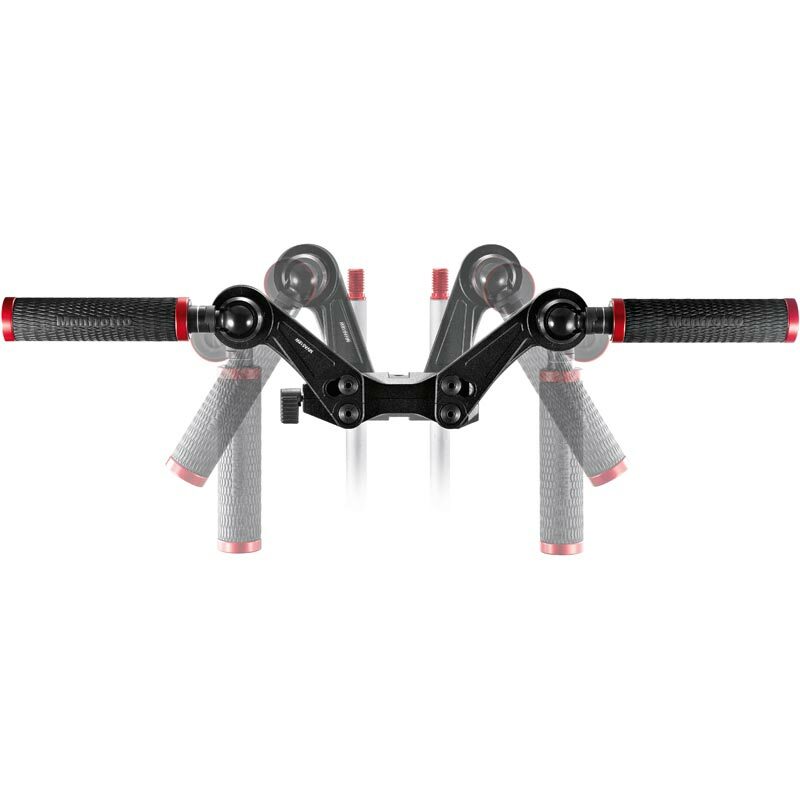 Sympla Adjustable Handles are fitted on a Universal Mount by two flyout arms that can be angled independently to bring the handles closer together or set them farther apart. 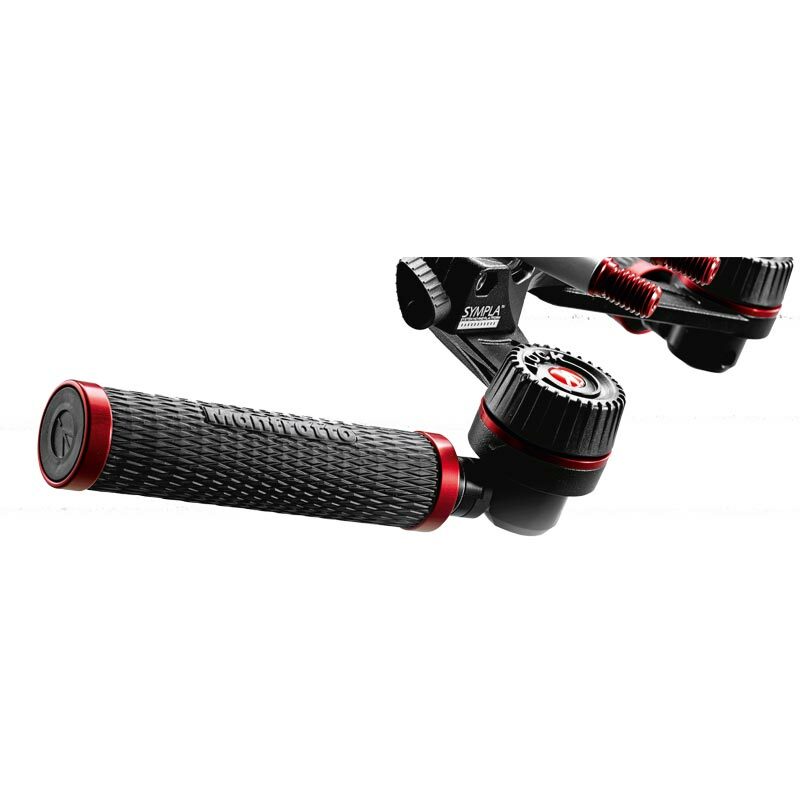 The handles pivot on ball joints for easier adjustment: a twist of the single locking dial on each handle loosens or blocks all movement, allowing them to be rotated freely and quickly set at the exact position and angle required. The handles can be set in customary vertical or near-vertical positions, but also horizontally like motorbike handlebars. 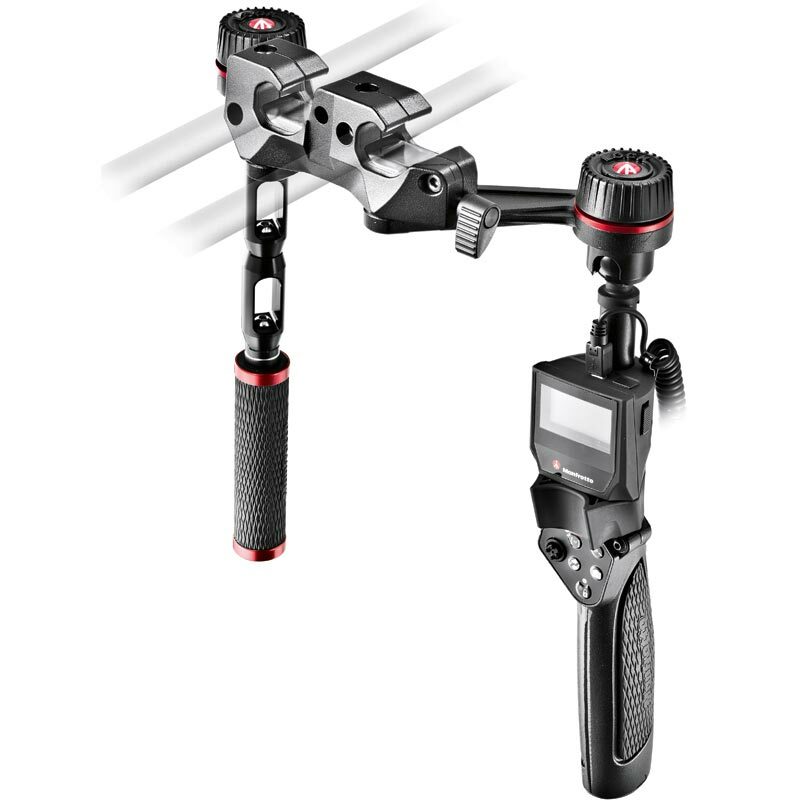 When a SYMPLA rig is mounted on a video head, the handles can be used as double pan bars. 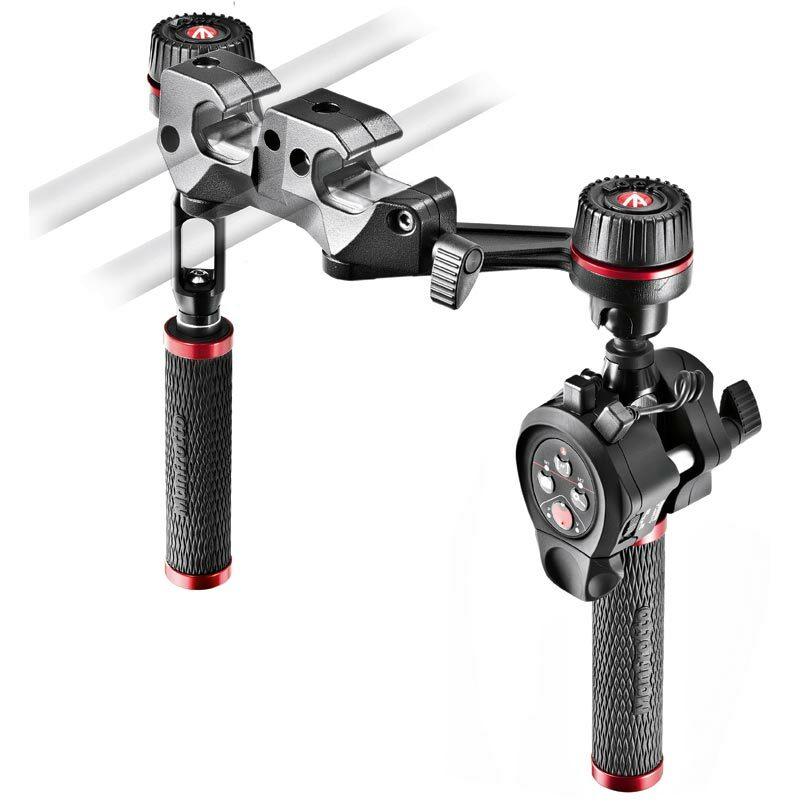 SYMPLA Adjustable Handles can be inverted and used upside down if more comfortable and convenient for the particular rig set-up. 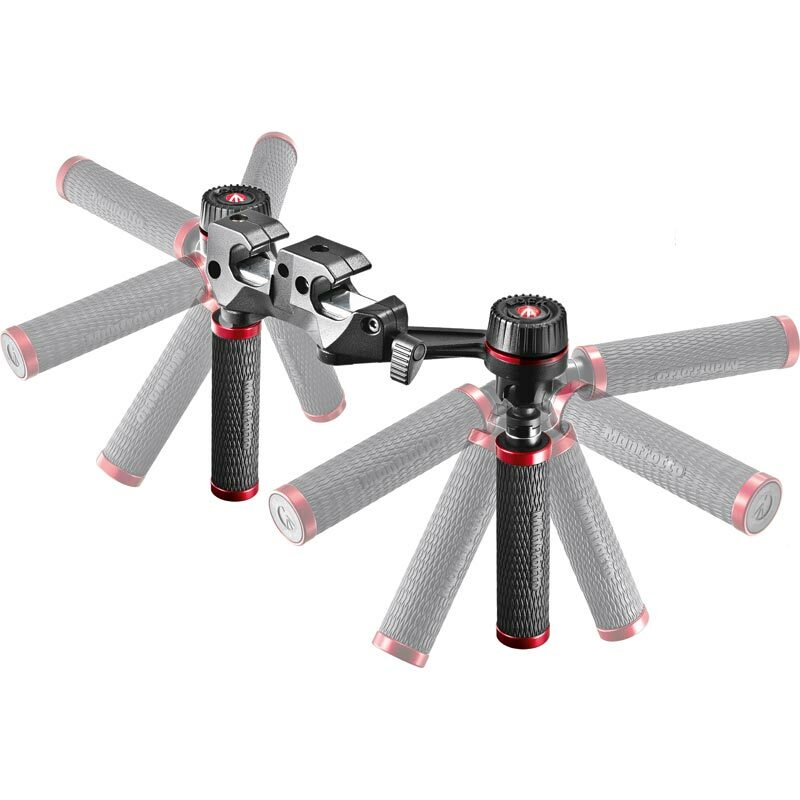 The PVC-free Adjustable Handles are supplied with two metal spacers that can be fitted between the handle and ball joint to lengthen the arms. The same spacers also adapt the handles for use with Manfrotto’s clamp and joystick remote control units: use a single spacer at the top of both arms if using the Clamp-On HDSLR Remote Control; if using the Deluxe HDSLR Remote Control in place of one of the Adjustable Handles, both spacers should be fitted at the top of remaining handle to make it the same length.